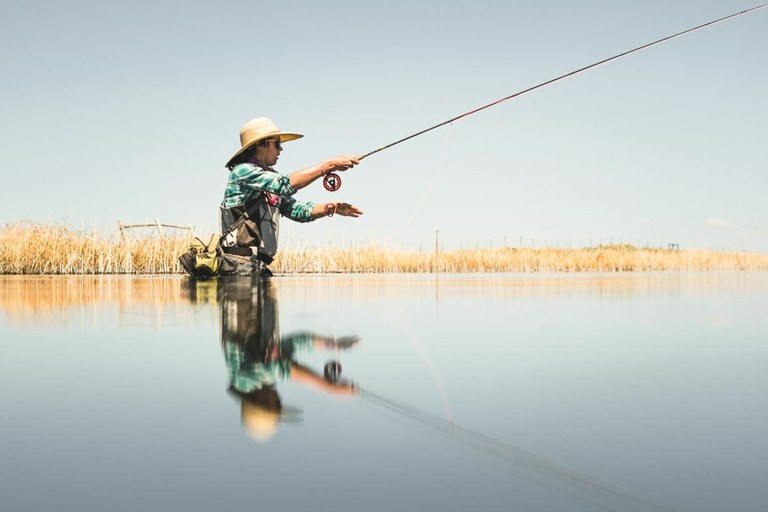 Anna Ortega on the hunt for rising trout outside of Laramie, Wyoming. On Dec. 2, 2017, onstage in a cavernous auditorium at Boise State University, two of the three Republican hopefuls for Idaho governor, Lt. Gov. 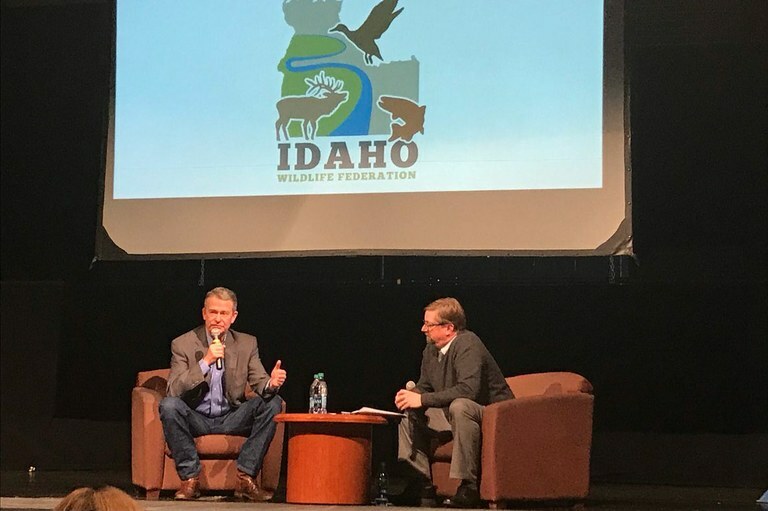 Brad Little and businessman Tommy Ahlquist, discussed their views on public lands in front of a crowd of hunters and anglers. The forum, sponsored by the Idaho Wildlife Federation, Trout Unlimited, and 16 other sportsmen’s groups, was a pivotal one in a state where public lands are a defining issue. The third candidate was conspicuously absent: Rep. Raúl Labrador, whose voting record in the House already proved him a staunch public-lands critic. Lt. Gov. Brad Little speaks at a forum on public lands hosted by numerous sportsmen organizations. In a political climate marked by public-land threats, Labrador’s absence spoke volumes, and he lost the primary to Little by 5 points. “In not coming to a sportsmen’s forum, you allow everyone to fill in the blanks,” said Michael Gibson, Idaho field coordinator for Trout Unlimited. “Gov.-Elect Little was willing to come in front of hunters and anglers and say he supports public lands.” In a state where only 12 percent of voters are registered Democrats, that primary victory all but handed Little the governorship. Republicans were once instrumental in passing laws like the 1964 Wilderness Act and the 1968 Wild and Scenic Rivers Act. In recent decades, however, the party has developed a reputation as the enemy of public lands, a stance further solidified by the Trump administration’s rapid rollback of protections. But in Idaho and Wyoming, two of the West’s most conservative states, hunters and anglers threw down the gauntlet, demanding state policies that protect access and voting down gubernatorial candidates who threaten public lands. As state legislatures shift in 2019, sportsmen’s groups are positioning themselves to fight the administration’s erosion of public-land protections. IN THE EARLY 20TH CENTURY, conservation became a political issue in America, fueled largely by Theodore Roosevelt’s desire to protect rich hunting and fishing grounds. Republicans carried on that legacy until the early 1990s, when the GOP began opposing environmental initiatives. Once President Donald Trump took office in 2016, his administration slashed national monuments and put increasing amounts of public land up for resource extraction. In Congress, Republicans refused to renew the Land and Water Conservation Fund, a popular program that safeguards natural areas. In the West, the Utah, Montana and Nevada state legislatures have introduced resolutions urging the transfer of federal lands to state ownership. Sportsmen’s groups generally oppose such transfers, as they would likely limit public access. In Wyoming, for example, state lands ban camping, preventing multi-day backcountry hunting and fishing trips. In addition, state land is managed to fund schools, which means potentially cutting off public access in favor of gravel pits, increased logging and land sales. More than half of Idaho is federal public land, including the Frank Church-River of No Return, the biggest contiguous wilderness in the Lower 48, and 891 miles of wild and scenic rivers, including the Salmon, Owyhee and Snake. But the state has no national parks. That’s partly because Idaho is a sportsmen’s state, and hunting is not allowed in national parks. In 1972, for example, state leaders from both parties ended a decades-long fight over making the Sawtooths a national park by designating the region a national recreation area, thereby protecting its status as popular hunting grounds. In 2016, tensions boiled over when Texas billionaire brothers Dan and Farris Wilks purchased vast chunks of old timber company land that recreationists had long used to access adjacent public lands. Gates appeared on roads, cutting off hunters, anglers and off-road vehicles. As the Wilkses bought increasing tracts, people’s frustrations grew, marked by enraged comments on news articles and letters to the editor. A confrontation at a property line between an armed security guard and a recreationist helped push Idaho lawmakers to update trespassing law, which sowed further unrest. “Critics sought the entire session to pin the bill on Dan and Farris Wilks, the Texas billionaires who have angered hunters, ATV riders, campers and local officials in central Idaho after they closed off 172,000 acres of forest they bought in 2016,” the Idaho Statesman reported. 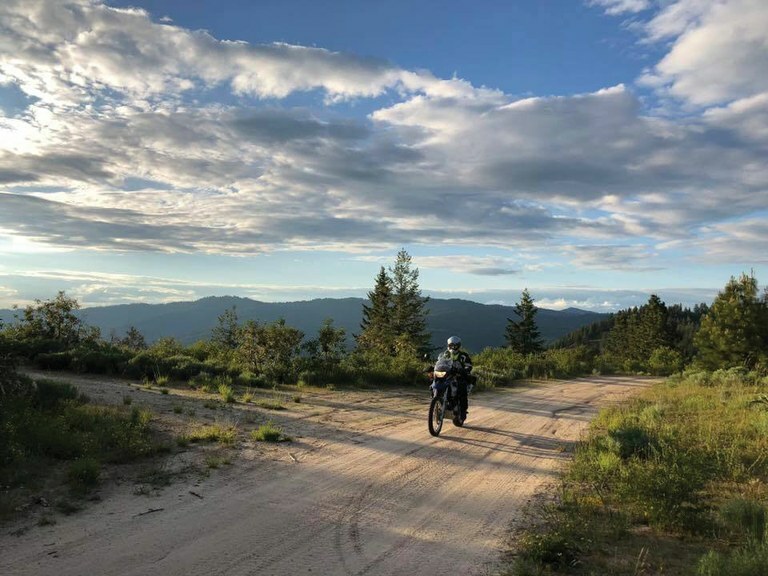 Boise Ridge Road, Idaho, a Forest Service road, was closed to recreationists after being purchased by the Wilks brothers in 2016. Labrador’s lackluster reputation on public lands galvanized the Myerses and other sportsmen. Opinion pieces in local media like Idaho County Free Press, Idaho State Journal, and Idaho Press denounced the congressman as a public-lands-transfer activist, while groups like Idaho Wildlife Federation and League of Conservation Voters highlighted his voting record on public lands. His subsequent refusal to attend the candidate forum at Boise State confirmed voters’ suspicions. Little — the establishment candidate, who was seen as likely to continue outgoing Gov. Butch Otter’s opposition to the land-transfer movement — prevailed. In August 2018, at a candidate forum hosted by the Wildlife Federation in the crowded Republican primary, three candidates, Harriet Hageman, Taylor Haynes and Rex Rammell, expressed support for public-lands transfer, with Hageman going so far as to suggest a one-million-acre pilot program of land transfer to the state. Hunting groups picked up on the issue immediately. Right to Roam, the most listened-to hunting podcast in the state, made it the focus of an episode on the candidates. The Wyoming Hunters and Anglers Alliance endorsed Mark Gordon — a multiple-use public lands advocate who frequently hunts on Wyoming’s public lands — because of the forum, citing his stance on issues related to hunting, and his opponents’ stances on land transfer (Full disclosure: Both Gordon and Little formerly served on the board of High Country News.) Gordon won the primary with 33 percent of the vote, while Foster Friess, who received Trump’s endorsement but “provided a mix of positive, negative, and neutral stances on sportsmen’s issues,” according to the alliance, got 26 percent. Hageman, who had been polling well before the forum, came in with only 21 percent. Public-land issues also had an impact in other Western states. In the New Mexico race for governor, Republican Rep. Steve Pearce went on the record as supporting the Land and Water Conservation Fund despite previously voting against it in Congress. Pearce lost the race to Democratic Rep. Michelle Lujan Grisham, who supported public-land protections and is also an avid fly-fisher. “Our community is a staunch supporter of public lands,” said Kerrie Romero, executive director of the New Mexico Guides and Outfitters Association. Becca Aceto, an Artemis ambassador, poses for a post on the Idaho Wildlife Federation Facebook page encouraging Idaho voters to register. IN 2019, SPORTSMEN'S GROUPS plan to continue the advocacy that helped Little and Gordon win their governorships. In rural states like Idaho and Wyoming, it can be hard to track what the legislature is voting on day to day. Even if citizens have a subscription to a Cheyenne or Casper newspaper, those papers won’t always list individual legislators’ decisions. That is one reason the Wyoming Wildlife Federation is launching bill tracking with real-time alerts to follow specific legislators, so that citizens can let their elected representatives know how to vote. The group is also stepping up recruitment of local ambassadors in rural communities, to help explain how public-lands transfer and the administration’s removal of protections could limit public access. 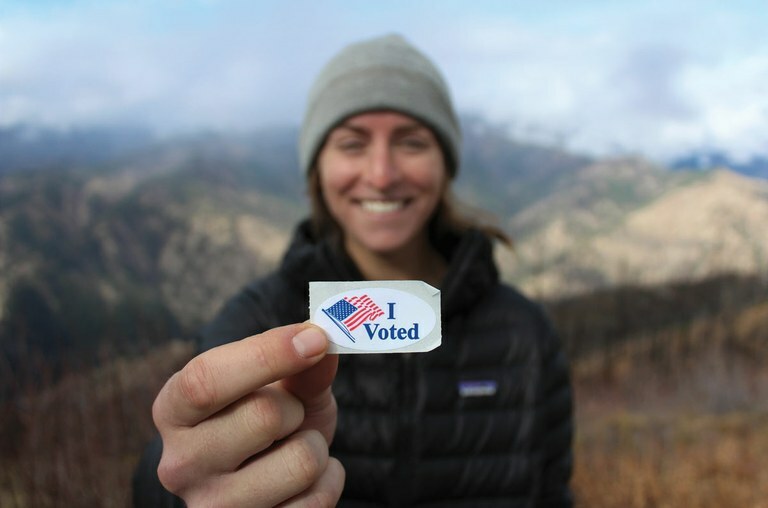 Groups like Trout Unlimited and Artemis, a new sportswomen’s advocacy organization, plan to ramp up trainings that teach people how to testify in hearings, call their elected officials and generally engage in local politics, all tactics intended to remind state politicians of the groundswell of local support that helped put public-land proponents in office. Sportsmen’s groups are already taking action in the federal arena as well: On the first day of the 116th Congress, House lawmakers reversed a 2017 measure that made it easier to sell off or transfer public lands — a measure that had been widely criticized by hunters and anglers. Note: This story has been corrected to reflect that camping is banned on Wyoming’s state lands, not state parks.